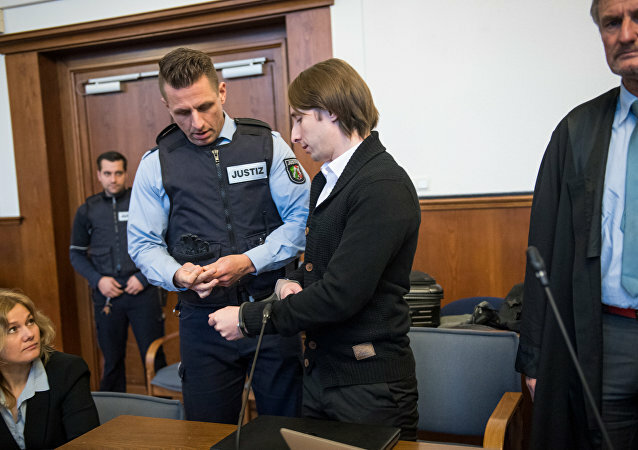 A young man accused of conducting bomb attacks on a bus belonging to one of Germany's top football teams, the German football team Borussia Dortmund, faces a possible life sentence if convicted. Marc Bartra, the Borussia Dortmund defender injured in the April attack on the team’s bus, has returned to training. Sergei W., the man accused of attempting to kill a German football team by attacking their tour bus with roadside bombs, has denied any involvement in the assassination plot. 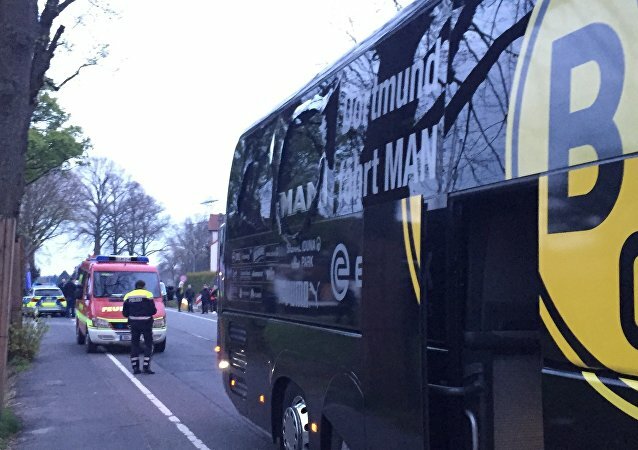 The attack, which targeted the bus of the Dortmund Borussia football club, left one player and one police officer injured. German police on Friday detained a Russian native suspected of perpetrating last week's attack on the bus belonging to the German football team Borussia Dortmund, Germany's Federal Prosecutor's Office said. 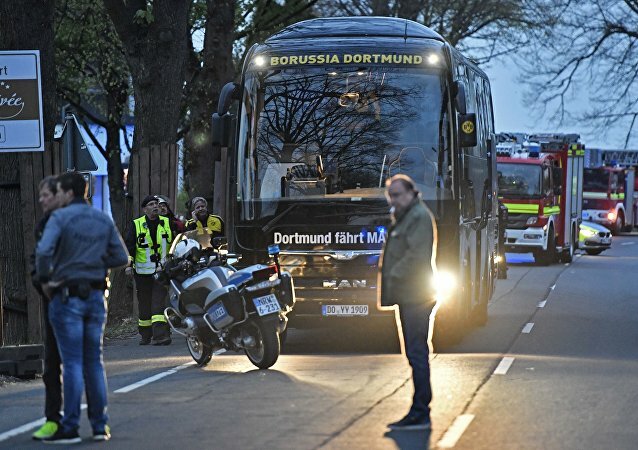 Following three explosions near a tour bus carrying players for the Borussia Dortmund football team, investigators have revealed that materials used in the bombs are likely to have been acquired from the German armed forces. The German prosecution has serious doubts that the notes found at the scene of the attack at the bus of the Borussia Dortmund football team were written by Islamists, local media reported Friday citing investigation sources. German police found a letter at the scene of explosions adjacent to a Borussia Dortmund team bus beginning with the phrase "in the name of Allah" and reportedly mentions Germany's Tornado jets killing Muslims part of the Daesh terror group, according to local media. Martin Schulz, the head of the Social Democratic Party of Germany (SPD) and chancellor candidate, wished a speedy recovery to Borussia Dortmund defender Marc Bartra who was injured after the explosions hit the team's bus on Tuesday. According to police reports, one person has been injured in an explosion near the bus of German soccer team Borussia Dortmund. Russian Fans Burned Team Banner, Not German Flag – Club Pres. The president of Zenit St. Petersburg denied on Thursday that the soccer club's fans burned a German flag at the Champions League game against Borussia Dortmund, saying it was merely a banner belonging to the opposing team. Real Madrid coach Carlo Ancelotti says Russia winger Denis Cheryshev will not be loaned out to seek more playing time but must stay at the Bernabeu and fight for his place.